For hi-res print images: Log on to Microboards' FTP Artwork website at http://artwork.microboards.com. Follow the instructions on screen to download hi-res PSD, TIF, and JPG versions of all images. 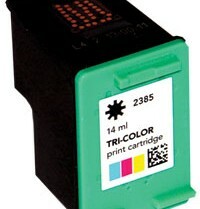 The G3 Disc Publisher, G3 Auto Printer, GX-2 Disc Publisher, GX Auto Printer, and GX Disc Printer all use the single tri-color ink cartridge for printing discs utilizing HP Inkjet Technology.